It’s been a minute! How are you all? The blog is under another revamp and I’m excited to share what’s been going on with me recently! Just to touch on it….I’m in the process of buying/building a home (cant’ wait to share more about this)! I’m still loving my hair and looking forward to coloring it again. I was at the protest in Dallas when the mass shooting occurred – this needs a whole video and blog post, stay tuned. I’m hosting an event to kickstart a local Dallas series of events for women ready for change from the inside out – click here to RSVP. I’m ready for change in my community starting with me! There’s so much more: my diet, my finances, my relationship with Christ, my spirituality. I can’t wait to share it all with you! Comment below and let me know what you would like to hear about and see more of! Now, since I’m really trying to relax and un-plug this weekend, let me catch you up on one of my beauty related reviews! I tried out 8 of the Vivid Matte Liquid lipsticks from Maybelline and shared my experience on YouTube. I’m wearing my favorite in the shot below – Berry Boost. LOVE! 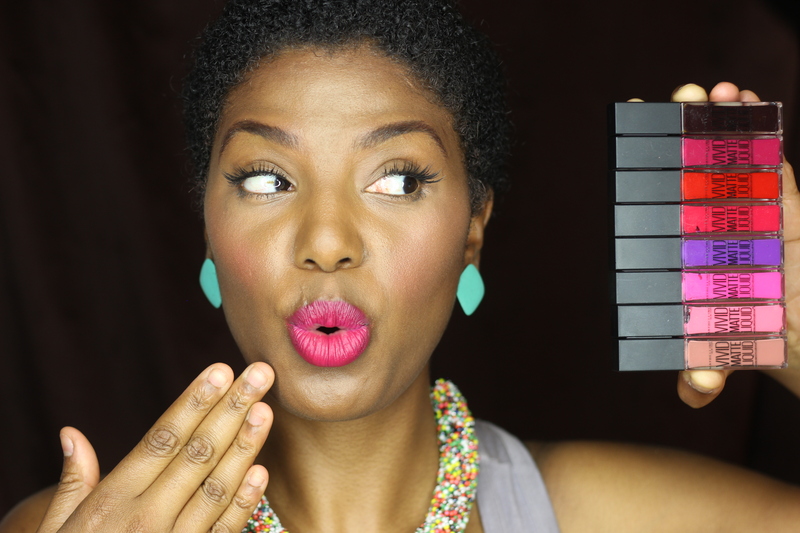 Check out the video and my thoughts about these “matte” liquid lipstick at the end of the video. Let me know what you think! Have you tried these? Are there other liquid lipsticks that you would recommend? Glad to be back! Missed y’all!